The Keltner Channel is a technical indicator that shows a central line for a moving average and channel lines below and above. This indicator is named for Chester Keltner, who described the indicator in a 1960s book called How To Make Money in Commodities. While the name came from others who heard about the indicator from Keltner, Keltner himself called it a 10 day moving average rule, and never claimed any original ownership of the idea. The central line for the indicator is simply a 10 day moving “typical average”, which is calculated by taking the average of each day’s high, low and closing price. The lines below and above are at a distance from this central line, the distance being the simple moving averages of the trading ranges for the last 10 days. Traders using this indicator consider closes that are above a higher line as a signal for strong bullishness and closes below a lower line as strongly bearish. The idea’s origin is uncertain. 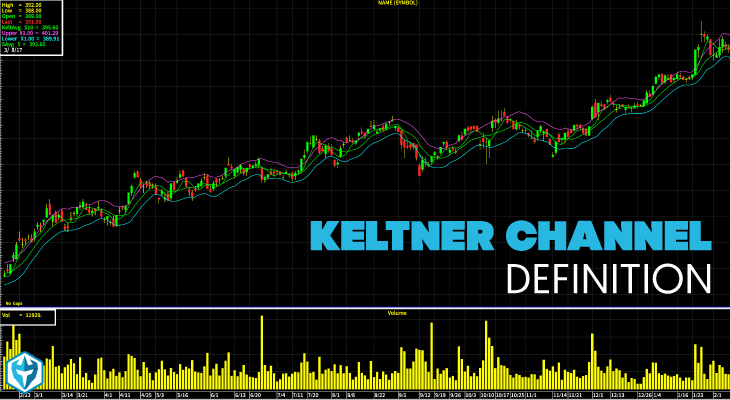 Keltner worked as a Chicago grain trader, and many consider it to have been a common indicator back then. However, the idea of fixed width channels goes back to early days of charting, so the addition of averaging does not indicate a great leap in conventional chartist thinking. Later chartists have suggested modifications and additions to the Keltner indicator, such as alternative averaging periods, exponential moving averages or the use of a multiple of Wilder’s average true range for constructing the bands. These variations are still referred to as Keltner Channels, which creates some confusion about what the “true” indicator is. The Keltner indicator is a useful addition to a day trader’s toolkit for confirming an existing theory on a security’s medium term trend. The Keltner indicator should be used alongside other similar indicators to help identify the strongest price trends in potential trades.